Here at Safety Solutions Midlands LTD, we have been designing, manufacturing and installing bespoke safety and industrial signs for industry since 2005. Based in Wellingborough, Northamptonshire we are surrounded by industry and all the top distribution centres, most of which are either current customers or have been customers at some point. 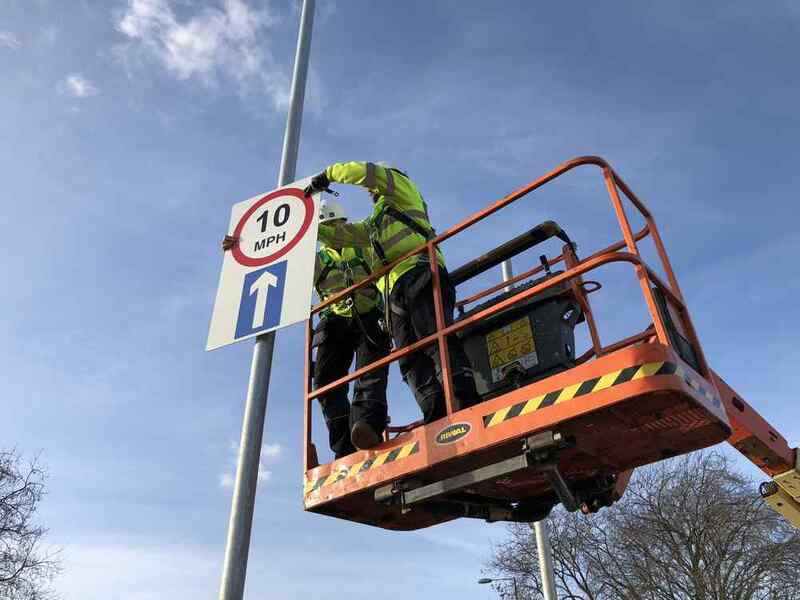 So from a single sign to full project management including risk assessments and method statements you can be assured of a safe and efficient service from design to install. We offer wide format digital printing using state of the art Roland printing equipment, wide format hot rolled vinyl lamination and CNC cutting for those circular or cut letters and shapes from solid substrate. Bespoke safety signs – Site map signs – Aisle number signage – Hanging signs – Floor graphics – Stencils – Reflective signs – Bay door signage – Bay control tags – Construction safety boards – Scaffolding signs – Photo ID boards – Magnetic, white board or fully digital Lots Time Incident Boards – Custom white boards – Anti slip floor signs – Fire safety signs – Photo luminescent signs – LED back lit signs – Road signs – Traffic signage. Contact us for your competitive quote.